Welcome. Joining the Order out of Chaos worldwide conversation is easy. By giving each nation and religion its own collective voice in a global conversation capped by the Voice of Humanity-as-One, Voices of Humanity enables us to transcend and yet also to support our nations and religions. Use the Facebook button to sign up and sign back in anytime or click the Join button on the left of the screen. You'll fill out a short form that will become your online profile. Voices of Humanity uses crowd-source technology (voting on messages) to give women, men, youth, middle-aged and seniors each a collective voice. Empowered with the gift of speech, these great divisions of the human race will join together with humanity-as-one to weave a tale of love and wit. Through this new lens we will come to see ourselves as the intelligent, generous and capable species that we are, giving us the trust and confidence we need to cooperate on pressing global matters. Organize Locally, Connect Globally. The Voices of Humanity San Francisco based team aims to persuade the SF Board of Supervisors to pass a resolution establishing a UN Goals Advisory Committee that will develop detailed proposals how the goals of the UN may best be supported / implemented by the City. The resolution will cover each of the UN Sustainable Development Goals (SDGs), human rights, CEDAW, nuclear disarmament and world peace, with a blanket clause covering all the other goals of the UN. The plan is to build a civic / business / government coalition for a “collective impact” project to get the resolution passed. Voices of Humanity will provide the needed “continuous communication” tool and the team will build the coalition from the ground up, all the while looking for a “backbone organization” to partner with and grant money for outreach staff. The SDGs are coming down to the city level in any case, so our efforts are very likely to succeed. That success will generate much good will and momentum for a second stage to the project as our coalition transforms itself into the new San Francisco UN Goals Advisory Committee. Then the real work will begin! Please join us on December 8. An app for Voices of Humanity will be used to have a Together and Apart conversation between supporters of each of the UN Goals. See directly below for more about Together and Apart. Monthly meetups will bring in new team members. For a more about this new VoH initiative please see the article Using Collective Impact to Bring the Goals of the United Nations Home to San Francisco. Voices of Humanity uses a “both/and” strategy to overcome the us-vs-them mindset that makes international cooperation on global issues so difficult. How does it work? Imagine a collective discussion between the Democrats and the Republicans in America. A simple back-and-forth dialog would just widen the divide. But if we alternate between red and blue together and red and blue apart then we give voice both to America-as-one and to each of the country’s two major parties separately. In this way we build a sense of American unity that respects American political differences. The same together-and-apart process applies to the nations and humanity-as-one. Hardliners in each nation will have to choose whether to participate in a forum that both supports their nation by giving it a voice of its own, and also supports human unity. Hardliners who refuse to take part will effectively marginalize themselves. Please see A Plan to Capture the Center and Marginalize the Hardliners. The Together and Apart feature will be ready to go by the end of 2018. Voices of Humanity will implement a global “together and apart” collective dialogue between the women and the men. The women are expected to take the conversational lead in the dialogue and that global strength will reach down to the local level to empower women of all ages. The men will follow. The Women’s Movement already transcends the nations and religions, so there is no contradiction between its goals and the aim of Voices of Humanity to build an intelligent and kindly global consciousness. More than that, with gender equality built into the process, the Women’s Movement stands to benefit greatly as Voices of Humanity momentum grows. The peaceful transition to a sustainable world requires global trust and cooperation between the nations and religions. We love our nations and our religions, and won’t give them up, so in this shift to a larger sense of unity, we need to be thinking how we can motivate the nations and religions to be willing partners. Voices of Humanity has a role to play here. This new form of social media is distinguished by being community-centered rather than focusing on the individual. The VoH online forum enables breakout by community and geographic level from global to local. For every community/geographic level there are six “voices of humanity”: the voice of women, men, youth, experience, wisdom and the voice of humanity-as-one. The six voices of humanity will create the global consciousness that is the sine qua non of the transition to a sustainable civilization. At the global level, messages from these six voices will be extremely likeable in the facebook sense but more than that, they will be important because so many people from all over the world will read them. Because love, wit and spirit are what everyone appreciates, we can expect the six voices of humanity to be consistently kind, intelligent and upbeat. Narrow minded and hateful messages will always draw a large negative vote from one segment or another and so can never be selected to represent humanity as a whole. The ever wise and gentle humor of the voices of humanity will redefine the “other”. We can even hope to deliver a salutary shock as the participants realize one by one that the human race is on their side. As the VoH network grows, unified voices for the nations and religions will develop. Dare we imagine a voice of America and of Russia, India and Pakistan, Israel and Palestine? A voice of Islam and of Christianity? It might seem a foolish project, but when we realize that the nations and religions are being unified and strengthened within the context of a unified humanity, then the true genius of the Voices of Humanity project becomes apparent. It is by supporting the nations and religions that we motivate them to be willing partners in the unification of humanity. VoH participants write messages each lunar month on topics of our individual choosing. We trade them around and vote on them. Using this process we decide on a monthly basis how best to influence the nations and religions to foster peace, justice and healing for Planet Earth. At the new moon, we elect messages of general interest. At the full moon we elect nonviolent action oriented messages to implement the ideas brought out at the new moon. Through the next full moon, we will act locally on the basis of our globally shared action messages, and report the resulting stories and lessons. Our elected full moon messages will be a good basis for action. However, there will be no commitment to using these messages as a basis for action until we see what they are, month by month. Because there are six Voices of Humanity (Women, Men, Youth, Experience, Wisdom, Humanity-as-One), there will be up to six winners each month, so locally, we will have a choice of action ideas. The effort to build a global consciousness must be action oriented or no one will pay any attention. Examples of nonviolent action of a sort likely to be considered are 1) have a local umbrella march for nuclear disarmament; 2) join or create a local action for the International Day of Peace; 3) write a letter to the editor in support of the United Nations; 4) bring in a friend to join the VoH community. However, since this is a bottom up process, there is always an element of novelty and suspense and the winning messages may be something of a surprise to everyone. That is why we have determined ahead of time that there is no individual commitment to using the elected messages as a basis for action until we see what they are, month by month. Everyone is a potential member of the Voices of Humanity community and we can expect to bring in huge numbers. There are many positive global movements that are looking for ways to cooperate. People are thinking hard about how to foster cooperation across these “silos”. There is the women’s movement, the labor movement, the social justice movement, the indigenous peoples movement, sustainability movement and climate action, the peace movement and nuclear disarmament, the social justice movement, the UN SDGs, the interfaith movement, and the list is only begun. Our aim is to bring everyone together under the banner of human unity – always with respect for diversity. However, it is important to remember that VoH is only a communication tool, a catalyst for human unity, not an umbrella organization. The Voices of Humanity online social media is designed to foster cooperation across the silos. All the great positive global movements, including nuclear disarmament, will have their own collective messages every month, and at the same time, all the movements together will be electing overall collective messages to represent humanity. As individual online participants, we have the option to narrow or enlarge our perspective, and we can easily shift from one community to another. At the full moon, when we elect action oriented messages, we can see what we have elected for ourselves at the nuclear disarmament level with only ND participants, or we can shift to another community where we are also a member and see what is happening there. And we will want to check out what messages were elected overall. The result is a grand sense of togetherness and understanding that respects the separate goals of each movement. The breakout of the genders into the Voice of Women and the Voice of Men will provide energy to build the network locally, nationally and globally. The Women’s Movement has that energy and because it already transcends the nations and religions, there is no contradiction between its goals and the aim of VoH to build human unity around a global consciousness. More than that, the Women’s Movement stands to gain hugely as we build participation and momentum because equality of the genders is built into the process. The VoH nuclear disarmament community will be doing outreach largely to individuals rather than to organizations. If we have friends in the climate change movement, we can invite them online to join us, while expecting they will also join the climate change community. It is not an either-or matter, but rather both-and. This is how we can be a catalyst for a massive action-oriented movement to create cultures of peace, justice and healing for Planet Earth and all living beings. 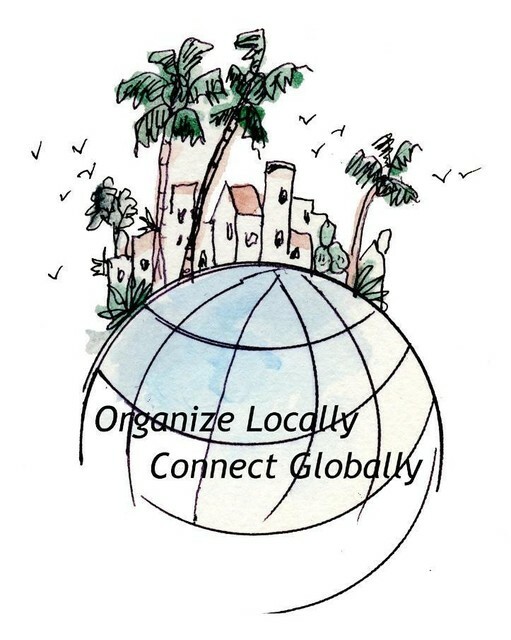 As membership grows, possibilities for local groups to meet in person will arise fulfilling the VoH slogan: Organize Locally, Connect Globally. Until Voices of Humanity goes peer-to-peer (p2p) civil society organizations will generally not participate. (Peer-to-peer means each organization can have its own instance of VoH running on its own computers, with all the instances being securely connected with each other.) With p2p, participating organizations can maintain a sense of control -- not least of their emails. Going peer-to-peer is therefore a necessity for VoH, but doing that is going to take some serious funding. The implementation of national voices in VoH is expected by the end of 2018. We will test the process with a collective discussion between Pakistan and the U.S. on the subject of nuclear disarmament, and go on from there to make it a discussion between the nuclear haves and the nuclear have-nots, with each separate nation also having its own collective voices. VoH is a project of Collective Communication, Inc. (CCI), a California non-profit. Roger Eaton, Founder and now Treasurer of CCI is current project coordinator. As of January 2017, Bronwyn Galloway is President of CCI and with her lead we are looking to bring in more women from around the world to the CCI Board. The VoH online community is implemented via InterMix open source software at github under the GPL v3.0 license. If you use facebook to register, then it is a little easier and in the future you can log in with a single click. Go to the top of this page and click the facebook icon. If you do not register with facebook, then begin by clicking the "Join" button at the top left of this page. After you register, you will need to link in from an email that will be sent to confirm it really is you. In the process of joining or by editing your profile, you can join or leave communities of interest using the checkboxes provided. At any time you can go to the Forum by clicking the "Order Out of Chaos" button in the upper left. In the forum you can read and vote on the messages that have already been added there. You may also comment on any of the messages by clicking the comment link under the message. Start your own topic by clicking "Add My Voice" at the top right of the page. Be sure to click the "Save" button at the bottom after you have written your message. That's it! And please "like" us on facebook. For questions or comments contact project coordinator, Roger Eaton. Everyone who signs up on the Voices of Humanity site is automatically a member of the Global Town Square.